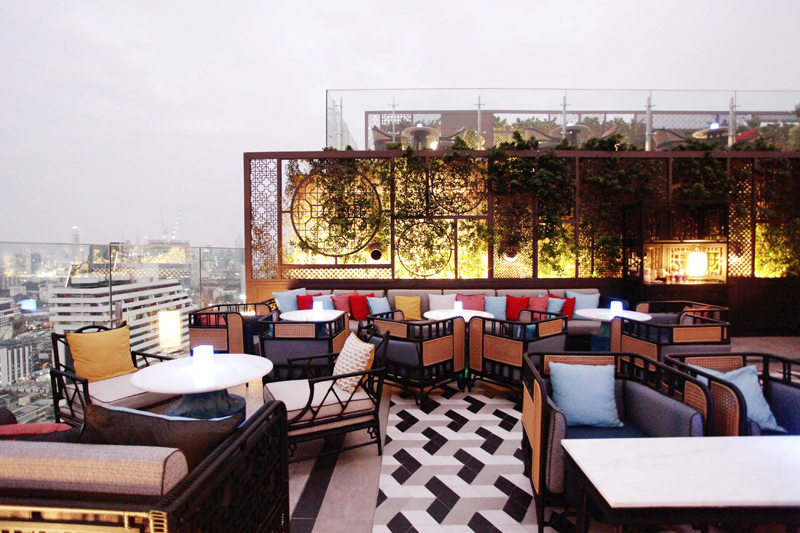 Known for its culturally diverse community, Surawongse Road hosts a posh restaurant called Yào Restaurant & Rooftop Bar at Bangkok Marriott Hotel The Surawongse. 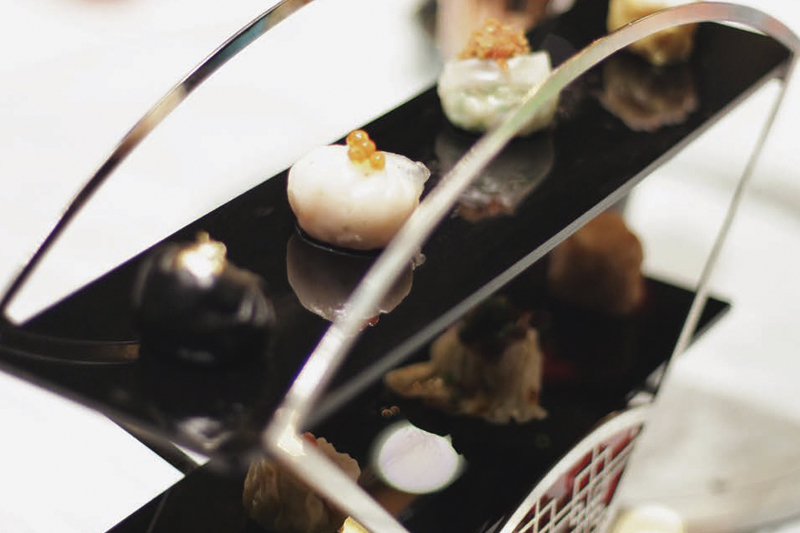 The restaurant serves up scrumptious Cantonese and Shanghai cuisines. Its rooftop bar is just the best place to soak up the romantic atmosphere and enjoy a sweeping view of the Chao Phraya River while sipping a delectable cocktail over delicious niblets. 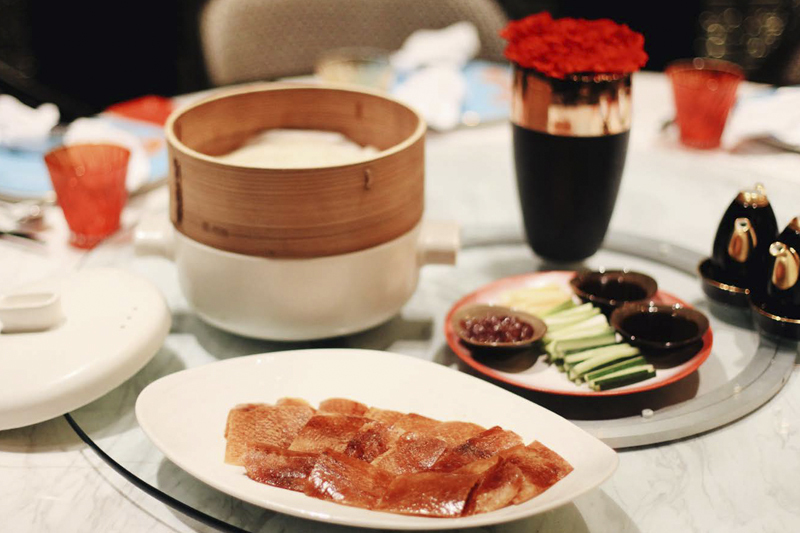 The Peking duck, roasted with lychee wood and spices, is served alongside soft pancakes rolled around the fillings and seasoned with special-recipe hoisin sauce and jams made from seasonal fruits. The home-made noodles from the traditional Chinese technique are seasoned with spicy minced pork sauce made from Sichuan chillies. Bite-sized fried pork buns from an ancient recipe with pork filling, which are steamed and then pan-fried. 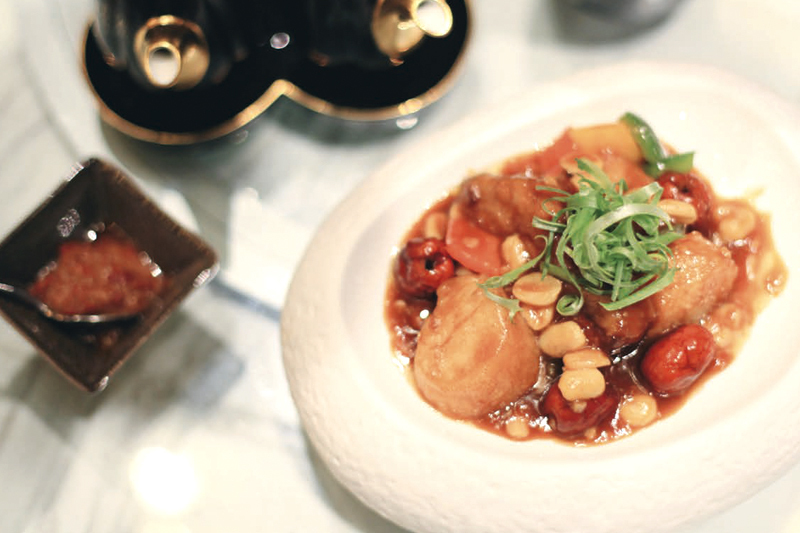 Chunky foie gras is stir-fried with Japanese scallops with hoisin sauce, jujubes and lotus seeds. Inspired by Shanghai’s Oriental Pearl Tower, the aromatic, sweet-and-sour rum-based cocktail has is a mix of Chinese lychee wine, blue pea juice and lime juice. สัมผัสความอร่อยของ เย่า เรสเตอรองท์ และรูฟท็อป บาร์ ได้ที่โรงแรม แบงค็อกแมริออท เดอะ สุรวงศ์ เปิดบริการ 2 ช่วงเวลา ได้แก่ช่วง 00-14.00 น. และ 17.00-22.30 น. โทร. 0 2088 5666.